Chunky Pom Pom Hat with White Fur Pom pom. Pom Pom Hat. The perfect accessory this winter. Fuzzy, warm and cute. If you want a special color just drop me a message. 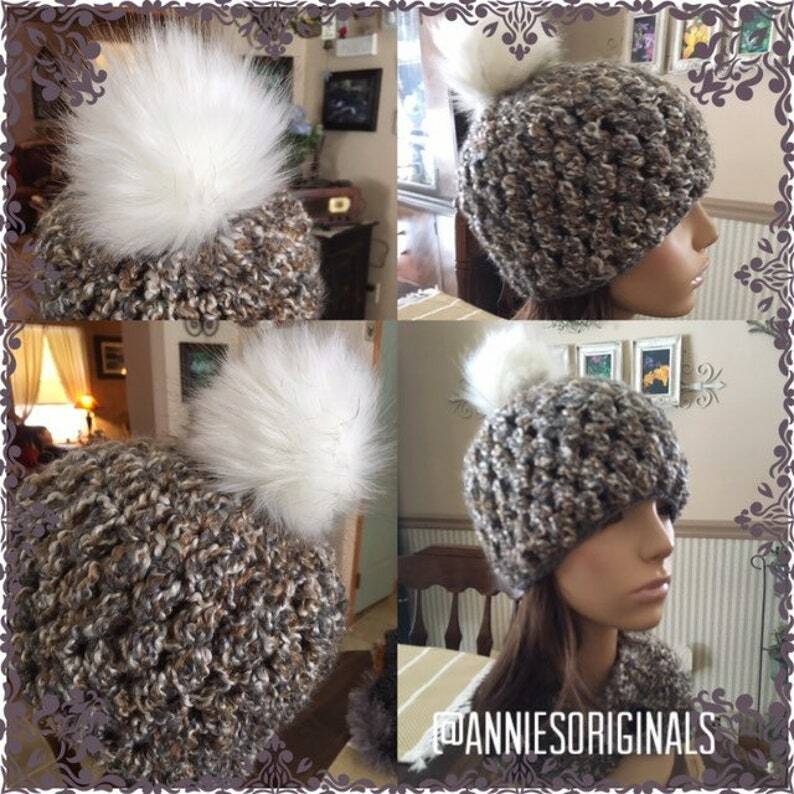 Chunky Pom Pom Hat with Silver Fur Pom pom. Chunky Pom Pom Hat with mixed Brown Fur Pom pom.